The Bab al-Saghir cemetery is situated close to the Umayyad Mosque and contains the graves of several eminent Sahabah (companions of the Prophet (ﷺ)) and pious predecessors. 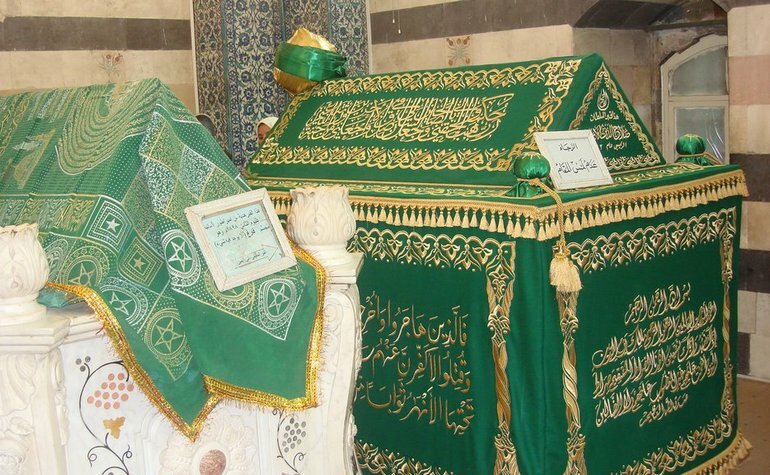 Note that the tombs of two of the wives of the Prophet (ﷺ),Umm Salama and Ramlah bint Abi-Sufyan (aka Umm Habeebah) are present here but it is highly doubtful that they contain the actual bodies. The structures were likely to have been created to encourage ziyarat to the area. The vast majority of scholars are of the opinion that they are buried in Jannatul-Baqi in Madinah, along with most of the remaining wives (Ummahatul Mu’mineen) of the Prophet (ﷺ).